Fourth place NBC, trying to get a jump on the regular season and also capitalize on the ratings boon from its Olympics coverage, gave second year series Grimm an early kickoff this past Monday. That supernatural series debuted with a Friday run last season and actually did quite well for a low viewership night and in a genre-crowded timeslot (it beat out Fringe, Supernatural, and Star Wars: The Clone Wars in the 9 – 10 PM EST hour). The show wasn’t a huge ratings success last season, but NBC will take whatever it can get these days and they have played it up as a hit and given its second season some pretty prominent promotion. And that all lead up to the early Season 2 debut this past Monday where Grimm will have a special run at the beginning of the weeks until the regular season begins and the show reverts back to its Friday timeslot. And that premiere episode pulled a 2.0 rating in the 18-49 demographic with 5.64 million total viewers, it’s second highest performance since its series debut last year which pulled a 2.1 rating. Those are pretty decent numbers for this past Monday, but the show is definitely not setting off any ratings fireworks. 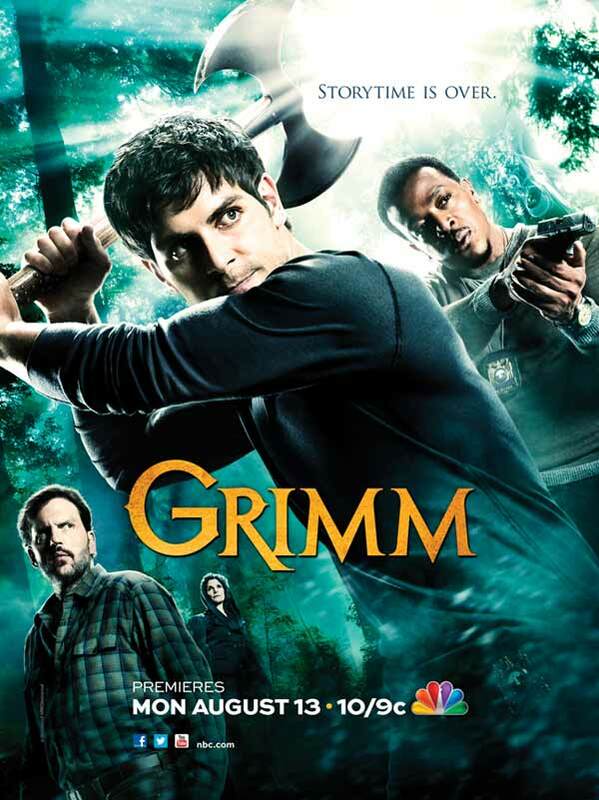 A 2.0 rating for a Summer series is not bad, but Grimm is actually a regular season series, and I’m guessing the NBC brass would have preferred numbers higher than what they got. But these are acceptable ratings and when the series returns to its Friday timeslot it should be safe as long as it stays around an average of 1.4 to 1.5. Consider the show on safe ground for now and we will get a much better gauge on its health when the regular season begins in late September (you can see a rundown of the premiere dates for all of the Fall shows at this link). Syfy’s Monday night shows continue their struggles, and this week they don’t have Olympic coverage to blame for their ratings woes. Warehouse 13, the current flagship for that network’s scripted shows, slipped all the way to a 0.5 rating in the 18-49 demo with 1.56 million total viewers. I believe that represents a series low for a new episode and an indication that this show might have passed its prime. Alphas, which has actually been doing okay so far this season, slipped down to a 0.4 rating (a definite series low) with less than one million total viewers. Don’t know at this point if this is just a blip for these shows, but Warehouse 13 has definitely been underperforming this season and seems to be dragging Alphas down with it. I won’t adjust the Cancellation Alert on either of this just yet, but if they don’t improve their numbers by next week, I will definitely raise the level a notch. HBO’s True Blood continues its strong fifth season performance as that show again topped cable programs this past Sunday pulling a 2.6 rating in the 18-49 demo and 4.5 million total viewers. And TNT’s Falling Skies continues to hold steady as it winds down its second season, pulling a 1.3 rating and 3.46 million total viewers this past Sunday. And it was the third most watched cable show for the night, an improvement from where it has ranked earlier in the season. And MTV’s Teen Wolf wrapped up its second season on an up note as it pulled a 0.8 rating this past Monday with 1.7 million total viewers. Looks like Teen Wolf isn’t doing as well as I thought.